Disclosure – I received a free copy of Mexico Coloring Book & Geography study in order to write this review. I was compensated for this post, but I was not required to write a positive review. All opinions expressed are my own. I consider myself to be fairly knowledgable in the subject of geography. As a family, we’re committed to Raising Map Nuts. We make up geography games and quiz each other on the what state our tortilla chip looks like. We’ve visited all 100 county seats in our home state of North Carolina, and we have a goal of visiting every state capital. The Mexico Coloring Book & Geography Study includes a black line map of each state. The capital city is marked for the student to label as well as the major rivers. Each map page also includes a small map of Mexico with the individual state marked for reference. On the bottom of the page is a catalog of facts about the state. These facts include the state motto, shield, area, capital, and other interesting facts. Each of the state pages is included in both English and Spanish. Also included (in both English and Spanish) are notebook pages for compiling the data on the Mexican states. There are pages for Biography, Demographics, Coat of Arms and Motto, Geography, State History, and Historical Monuments. The entire booklet is reproducible for use within your family. This resource would be a great spine for a full study on the country of Mexico. I think it would also be a great resource for Spanish teachers as a springboard for studying Mexican geography, culture, and related topics. You can purchase the book from Paradise Praises through Amazon for $14.97. Homeschool Curriculum – How do we cover it all? Which leads me to the age-old question. 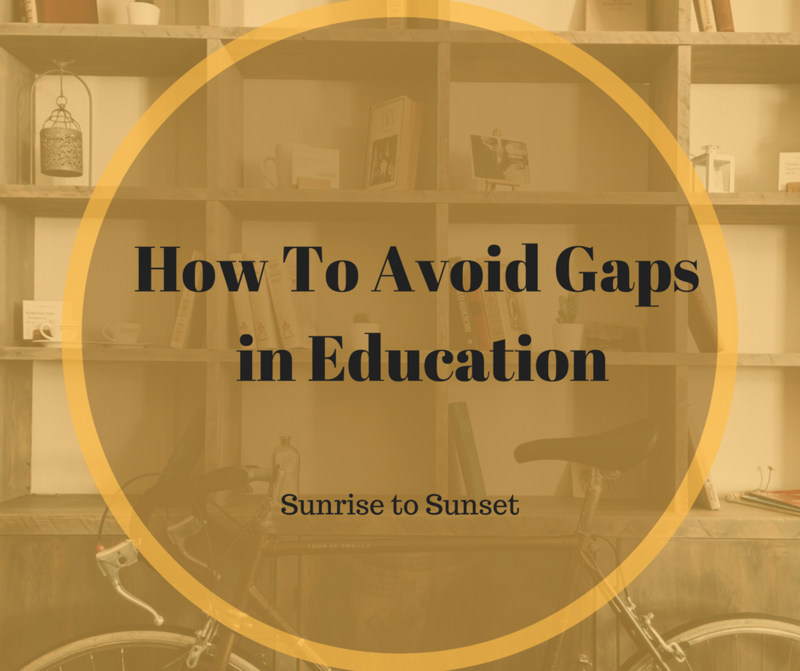 How can we avoid gaps in education? Does that mean we don’t try to provide our students with a well-rounded education? But here are some questions to consider. Is there a standard amount of knowledge that someone needs to have to be considered educated? How do you even know what a gap is? Who are we comparing our students to? These are all questions that have to be decided by the individual family. Some states have certain requirements for what subjects should be taught. Others, including mine, do not. Our family has chosen to try to cover all the standard courses that would found in a typical high school curriculum. We do this for 2 basic reasons. The “standard” high school curriculum covers a wide variety of subjects providing an introduction to those subjects. Exposure to a lot of different subjects enables students to discover topics that they like and dislike and can help provide direction for future studies. But does that mean there won’t be gaps? Do students who graduate from public high school have no gaps? No, everyone has gaps in their education! Even if there were a way to teach with no gaps, do we truly believe that any student is going to remember every fact they were taught? Our children are not going to graduate from our homeschools as experts in math, history, science, and literature, while being superb athletes, computer geniuses, and musical prodigies. 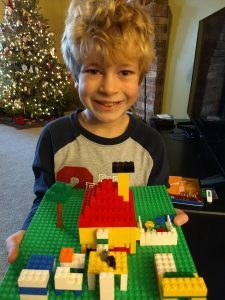 So while it’s good to give our children a taste of many different subjects and activities, we have to recognize that the more thinly we spread, the less depth there will be. How do we provide a student a well-rounded education while still allowing for depth? What does this look like in our homeschool? While I would not consider our homeschool delight-directed, I do seek to allow time for my children to delve deeply into things that interest them. 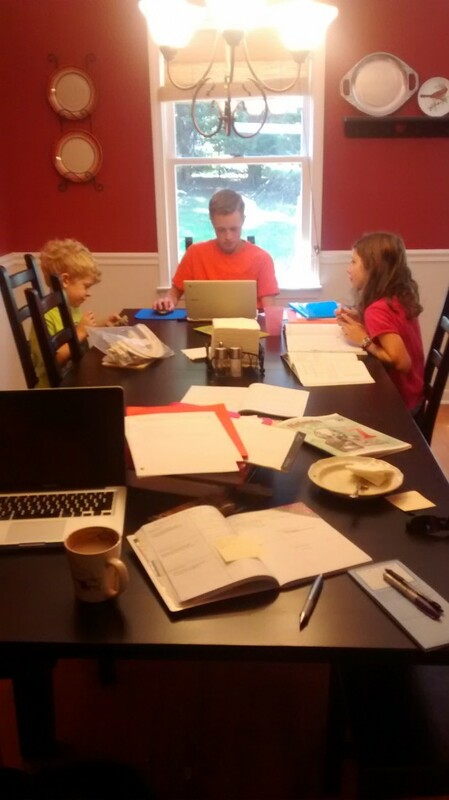 Our formal homeschool lesson time is relatively short (assuming cooperation from the student). The expected time spent on school work does increase as the children get older, but still I hope that by homeschooling, they can have free time to explore interests even in high school. In our home we provide opportunities for natural learning with hundreds books, science equipment, puzzles, games, maps, educational videos, etc. My husband and I read for enjoyment. We spend time outside in nature with the family. Our vacations are often spent hiking, visiting museums and historical sites. We like learning new things and we have always brought the kids along with us. When David was in middle school, he really wasn’t interested in history. I struggled to force him to read and have discussions about the reading. His primary interest was making videos. So I started assigning him video projects for his history. Disclosure: Some of the following product links are affiliate links. My first grade son Andrew is using the following curriculum. It leaves plenty of time in his day for playing, drawing, building, or playing games. We have a classical leaning in our homeschool, so I try to include a rigorous study of Latin. Lizzie, in sixth grade, especially loves reading so I’ve been using the Memoria Press Literature Guides with her. She has a gift for music, so she spends a lot of time practicing both violin and piano. Singapore Math – Read my thoughts on Singapore and why I keep using it. With William, our ninth grader, I’ve had to do everything differently. He struggled to learn to read and still has poor reading comprehension skills. It has been hard to find a way to teach content subjects with him now that he’s in high school. (For the most part we skipped them before high school just focusing on the 3R’s.) This year one of my biggest goals is helping him improve his computer skills. Here’s the current plan with him. No Nonsense Algebra – This course has video instruction for every section that is included with the book! Typing.com – Free typing lessons. My senior, though technically homeschooled, is taking 2 classes at a homeschool co-op and the rest of her courses at the local community college as a dual-enrolled student so I haven’t included her curriculum here. Looking for more curriculum ideas? 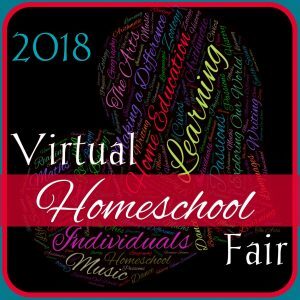 Visit my fellow homeschool bloggers! Note: all posts will be live after 8 am EST on Monday, Jan. 22nd. 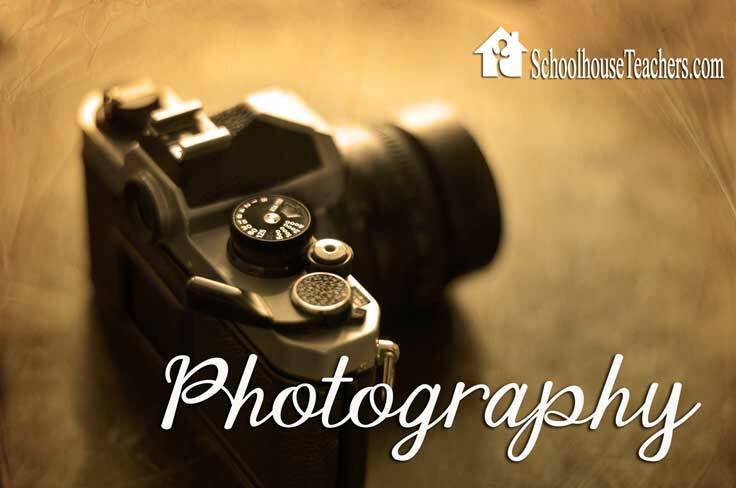 Are you looking for something new in your homeschool? How about trying something different while you get back in the swing of things? The Presidents of the United States Video Based Unit Study from Paradise Praises might be just what you’re looking for. Disclosure – I received compensation and a free copy of this study to write this review. All opinions expressed are my own. I was not required to write a positive review. Post contains affiliate links. 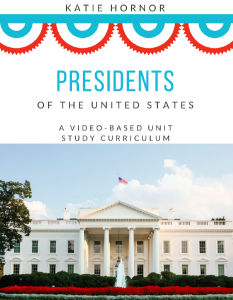 This digital unit study, available as a downloadable pdf, consists of a one page chart for each president and an appendix. Each chart contains key facts like the years the president held office and who was the vice president. There are also video links and book suggestions for each president as well as geography tie-ins, field trip ideas, art and other suggested activities for many. The appendix contains suggestions for additional resources, a blank US Map, blank notebooking template pages, and vocabulary lists. The schedule suggests studying 1 president per day. That provides 9 weeks of study including a final day for studying the first ladies. If you started next week, you’d be over halfway finished by President’s Day! This a simple unit study. There are not a lot of extras built in though there are plenty of ideas in the resource section. It’s essentially a plan of videos to watch, books to read, and appropriate activities. Could you find all this yourself? Yes. The biggest value that I see in this product is that it’s ready to go. You don’t have to search for an appropriate YouTube video. The work is already done for you. You don’t have to decide which library books to order. They’re on the chart. This product is ideal for the homeschool mom who needs something that the kids can do independently while she works with another student, cooks, cleans, takes a nap, or whatever she needs to do. You are looking for something straightforward and easy-to-implement. You don’t have the time and/or desire to put together your own studies. Your children are familiar enough with a computer to open files and click links unassisted. You have a good library system to order books. You frequently create and enjoy creating your own unit studies. You are looking for something that includes reading and comprehension questions. I think this is a great addition to any elementary American History curriculum. Instead of studying 1 president per day, I would probably study 1 president per week that roughly corresponds to the time period in history we’re studying. We’re using Story of the World Volume 3 this year and this is the perfect time to start the Presidents of the United States Unit Study since we’ve completed up to the start of the American Revolution in our history studies. You can view samples and purchase this product at Paradise Praises. Have you started back to school yet? Do you start everything at once or ease into it? Do you like to change things around for the new semester? Creation versus Evolution – Is Genesis History? Evolution is taught as basic fact in schools. It is what all “scientists” believe. Only uneducated, brain-washed Christians believe that God created the universe and everything in it. Right? It seems that there is a lot of division in the US and the world today. Creation versus evolution is just one of the issues dividing us. But is creation only for people who have “blind faith” in the Bible? Is evolution science, but creation religion? Is Genesis History? seeks to show that a belief in creation does not require “blind faith” but is an entirely reasonable conclusion when viewing the evidence from a Biblical perspective. In the 101 minute film, Del Tackett visits 13 different PhD scholars in fields like geology, paleontology, microbiology, astronomy, archaeology, and Hebrew to discuss the Genesis account of creation and how the evidence that we find on earth is consistent with what we read in Genesis. In the discussions, they compare the ways that evolutionists and creationists look at the same data and come to different conclusions based on their starting assumptions. They also point out many of the inconsistencies in evolutionary theory. The film is divided into the following sections with each one featuring a discussion with a different scientist. What do the Rocks Tell Us? Our thoughts on Is Genesis History? The film is well-made and interesting. It does a nice job of displaying beautiful scenery while explaining key concepts. I think the graphics are nicely done and are helpful. I like that the chapter divisions on the DVD allow for a quick review of certain topics. The film flows well as a whole and does not seem a pasting together of individual chapters. Our family is not new to the study of creation versus evolution. My husband and oldest son are especially educated on the topic. We have a relatively large home library of books and videos dealing with the topic of Biblical creation and evolution. So with that in mind, they had a couple of criticisms of the film. First, neither my husband or son liked the conversational style of the video. Both of them felt it made it seem scripted, and somewhat disingenuous. I personally wasn’t particularly bothered by the conversational style, but it may grate on some. My son was particularly frustrated by the section on stars and the universe. He felt that in an attempt to keep things simple, they glossed over some very important ideas and current creationist hypotheses about how we can see starlight if the universe is only thousands of years old. Considering that this film is intended as more of an introduction to the various topics discussed, I think that it fulfills that role nicely. It should inspire someone less familiar with creation versus evolution issues to do further research into areas that don’t seem as clear, and seek out resources that more fully address some of these difficult topics. You can purchase a copy of the film in DVD or Blu-Ray format. A DVD/Blu-Ray combination package is also available. You can view the various options at Compass Classroom. Are you interested in science curriculum from a Biblical creationist perspective? Try Apologia Science . Disclosure: The links provided are affiliate links. If you purchase through the links on this post, I will receive a small commission. 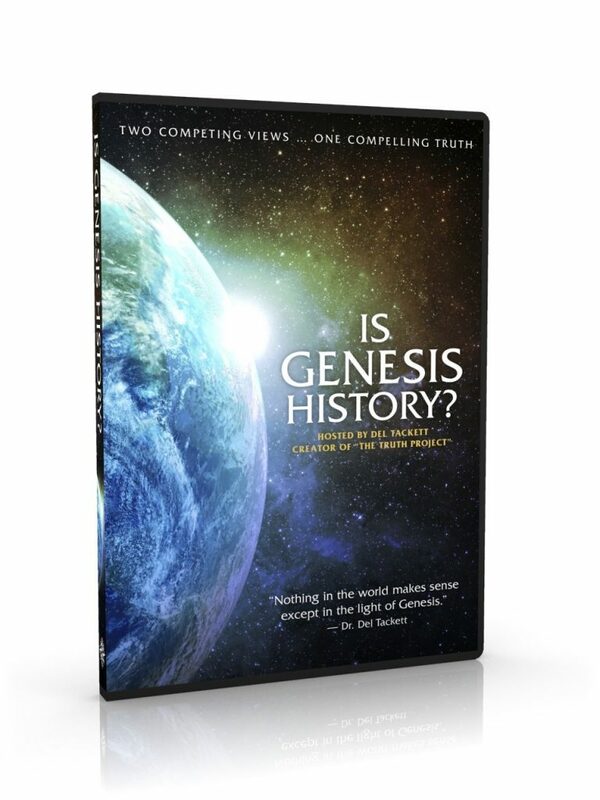 I received a free copy of Is Genesis History? in order to write this review. I was not compensated for this review. All opinions expressed are my own. 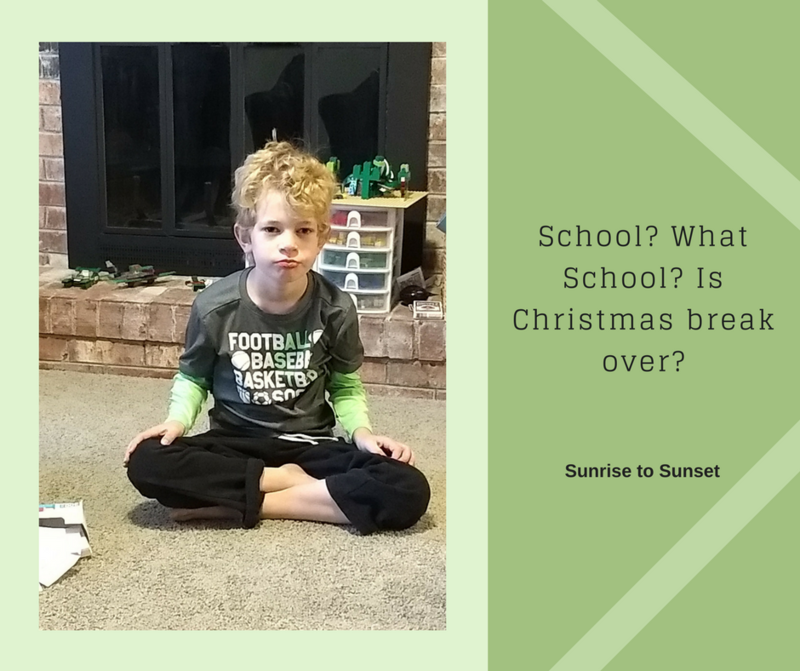 We have finished 3 weeks of homeschool for this new school year: my 14th year of homeschooling and I’m still a homeschool curriculum junkie. Have I really been homeschooling that long? Many of my homeschool curriculum choices this year are back to my old favorites. My oldest son has started college and is living 3 hours away from home. He is doing great! And I am doing better than I expected. It’s definitely been an adjustment though. I took the leaf out of the table this week and can’t get used to how small it looks now. Below are what I’ve chosen as our homeschool curriculum this year. Please note that I do use affiliate links to help pay for maintaing this blog. My oldest daughter, Anna, is in the 11th grade. This year we have loaded her up with classes outside the home. She is in 2 different co-ops: 1 meets twice per week and the other once per week. We found last year that outside deadlines and accountability to someone other than me are a great thing for her. So we loaded her up! Pre-calculus taught by an instructor, but using Teaching Textbooks. My son William is in 8th grade this year. He has been my struggling learner, but I am really encouraged with his progress this year. He remembered his math concepts over the summer which thrilled me! Christian Light Math 7 – He has been using this program for several years. We finally found a math program with the right amount of review for him! All About Spelling – He’s finishing up the last level of AAS this year! It has been a fantastic program for him. Memorize Galatians – I really love the material from Brookdale House. He is doing great working through the book of Galatians. He will be memorizing the entire book using this program! Story of the World 2 – ? – Yes, he’s a little old for this, but he does better with audiobooks, so I want to get him a good base for history before high school. He will listen through the series. Around the World Geography – He is taking this class at a weekly co-op. There has been some homework and projects to do at home and present to the rest of the class. General Science – I’m still not sure what I’m doing with this. He is taking a general science lab at a weekly co-op (his first experience and I’m happy to report it’s going well.) I pulled out the Apologia General Science book and I just can’t see him making it through the reading. He likes science though, so we may continue the way we have been and allow him to study science topics as he is interested. Lizzie is my 5th grader. She is a bright student and sometimes hard to keep occupied. Singapore Math 5A and 5B – this has been my favorite elementary math program since I started it with my now college student. I love the emphasis on word problems and mathematical understanding. Latin – She’s finishing up First Form Latin and will start Second Form Latin probably after Christmas. Classical Composition Fable – I bought this for her last year, but we didn’t make time to do it. I pulled it out again this year and it’s going well. She loves to write and embellish the fables with her own details. All About Spelling 5 – I love how simple this program is to use. Just pick up the book and go. 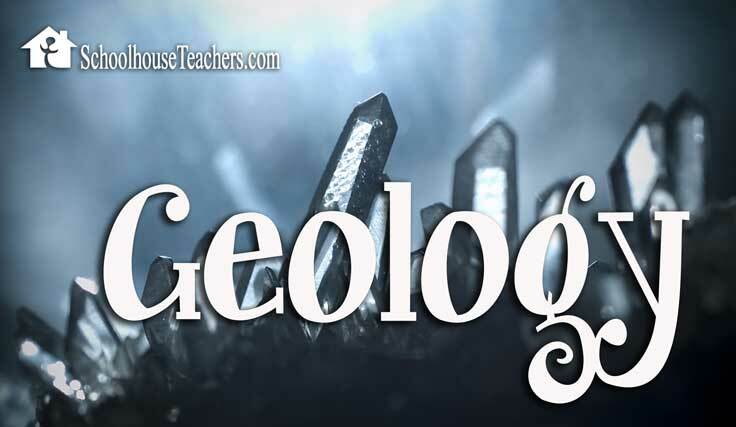 Considering God’s Creation and Apologia Elementary Science books – We’re using Considering God’s Creation loosely as a springboard into more in-depth study using the Apologia elementary books. I like the lapbooky aspects of Considering God’s Creation, but I wouldn’t recommend it as a stand alone science program. Tapestry of Grace Year 2 – I am trying out Tapestry of Grace again. We used it for several years when my oldest 2 were upper elementary to middle school. I had to put it aside because the discussion aspect of the program just wasn’t working for us as a family. The reason I loved the program so much was to have the whole family on the same “page” in history. It was just not a good fit for my oldest. But I felt a nudging toward it again, so I decided to see if we can use it with my 2 younger children. So far we’ve completed the first 2 weeks and it’s going ok. I am feeling a little flustered trying to keep up with everything. My baby, Andrew, has started Kindergarten! We are keeping things really light for him and using some old favorites. Handwriting without Tears – Seriously. No tears. He loves it! 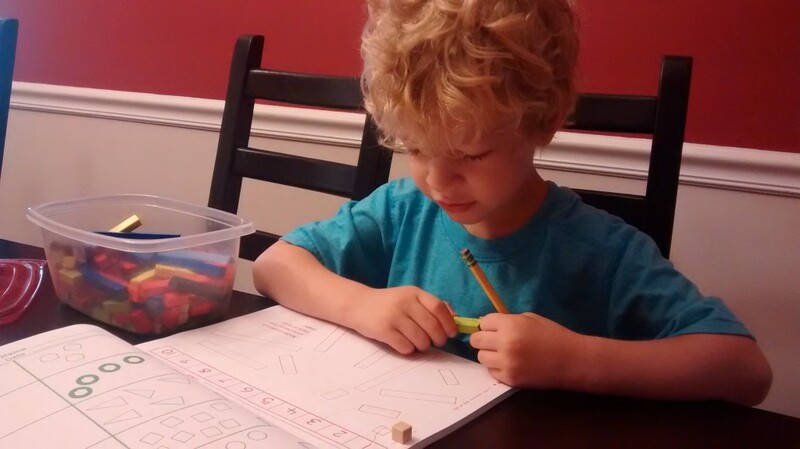 Miquon Math – He’s starting with the orange book. He loves to use the Cuisenaire rods. Verbal Math – This is something new that I’m trying. I like the way it teaches math without writing the problems down. So far, everything is running relatively smoothly though I do constantly feel pulled in a thousand directions. I should be an expert by now, but I still make mistakes and struggle to get everything done! Compass Classroom recently released a new modern history class entitled Modernity, and they gave me the opportunity to preview the course. Covering a wide range of topics from modern history including the Enlightenment, Napoleon, the Industrial Revolution, and the World Wars, the high school level class consists of 27 weekly lessons. Each lesson includes 5 video segments with instructor Dave Raymond that are approximately 20 minutes long. Along with the video, there are accompanying reading assignments available in Kindle, pdf, and epub formats. In addition to the lecture and reading, the student works on a portfolio and several projects over the course of the school year. The modern history projects include a Reformation Imitation Project, a Speech on Tradition, a Research Paper, and the Hour Project. The Hour Project is an open-ended final project of the student’s choosing. It should be something that takes a substantial number of hours to complete (they recommend 30-40) and can showcase the talents and interests of the student. Some examples in the teacher guide include copying a famous paintings, making a reproduction of a piece of Victorian furniture, or creating an illustrated children’s book. Easy to teach – The course is well-laid out and teacher friendly. It’s divided into daily lessons so it’s very open and go with little to no planning required. Interesting presentation – Dave Raymond is excited about history and it shows in his presentation. He’s interesting to listen to. While much of the video is lecture, there is a nice blend of related images mixed with the video of the speaker. Christian Worldview – There is plenty of opportunity to study history from the politically correct, secular worldview. This class not only teaches history from a Christian perspective, but also provides the Christian perspective of why history is important to study. 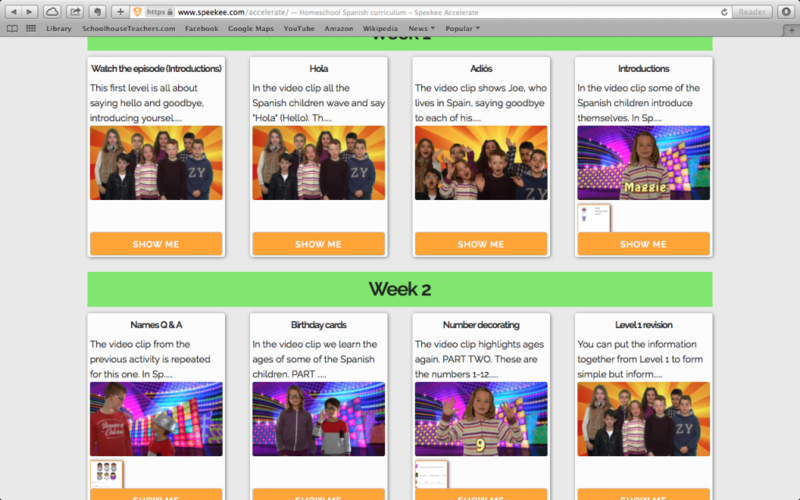 Variety – While the format is predictable with 5 daily videos and corresponding readings, the projects and portfolio pages add the opportunity for students to be creative and truly own the content. If you’re looking for an American History course you can read my review. Discloser: I received a free download of 8 lessons of Modernity in order to write this review. I was not compensated for this review. All opinions expressed are my own. This post includes affiliate links. Handwriting and The Pencil Grip, Inc.
As a new homeschool mom, I wasn’t always confident that I was doing things “right”. Looking back on those early years, I think I pushed too hard sometimes. And then at other times I didn’t push enough. (I tend to swing between extremes.) I wondered if David was reading enough. Was his handwriting too messy? Were we spending enough time doing school? Were we spending too much time? What about math drill? Enter Anna, child number 2, and I began to feel a little more confident. She was a dream child to homeschool. In kindergarten she would get her own workbooks out and do them herself without me even asking her to. So I pretty much let her. With a difficult to teach older brother and a 3 year old younger brother, it was about all I could do anyway. Since I didn’t often sit with her watching her work, it took awhile for me to notice that she was holding her pencil incorrectly . It wasn’t horrible, but I was determined to correct it. Since she was left-handed, it was difficult for me to demonstrate a proper grip, so I went to the local education store and purchased a pencil grip that I found there. I tried to get her to use the pencil grip, but she didn’t like it. I tried to show her how to use it, but I had a very hard time figuring it out myself. We did figure it out, but it felt awkward. Plus it was hard and uncomfortable. That was pretty much the end of working on her pencil grasp. She’s almost 16 now, her grasp is functional, but her hand gets tired with too much writing. Recently I received a collection of products from The Pencil Grip, Inc. to review. There are 3 different grip shapes and a child can transition from one grip to the next, allowing his hand to get used to the slightly different position. The grips are soft and more intuitive to hold then the different one we tried 10 years ago. The 3-Step Grip Training Kit begins with the Crossover Grip (pictured in green on the left). This grip stops fingers from crossing over. Its shape is described as a “Superhero cape” to help encourage children to use the grip. The next step is the Pinch Grip (in the center). This grip goes a step further and serves as a intermediate point between the crossover grip and the final step which uses the Original Grip. The Original Grip is suitable for training all children to use the tripod grasp for writing. Using the grip can help prevent the development of bad habits. All 3 grips can be used by either right handed or left handed children. They can be used to help correct a child with an incorrect grip, or train a young child who is beginning to write to avoid developing a bad habit. 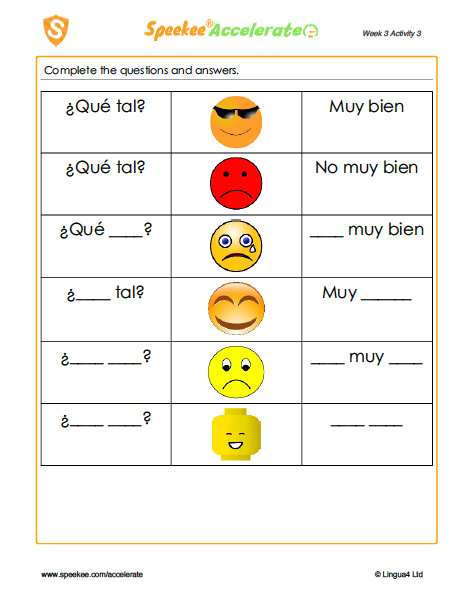 I will be using these with Andrew, my 5 year old, as he begins formal writing lessons this fall. I am also encouraging Anna to see if they help keep her hand from tiring as quickly. I don’t think the Superhero Cape will help encourage her much though. 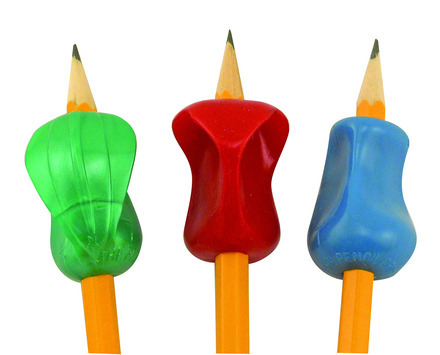 The Pencil Grip, Inc. sells their products on their website and on Amazon.com. If you’re concerned about the way your child is holding a pencil, I recommend trying them out. Disclosure: I received a free set of pencil grips in order to write this review. I was not compensated for this post. All opinions expressed are my own. I am not an Occupational Therapist and do not have training in proper pencil grasps. 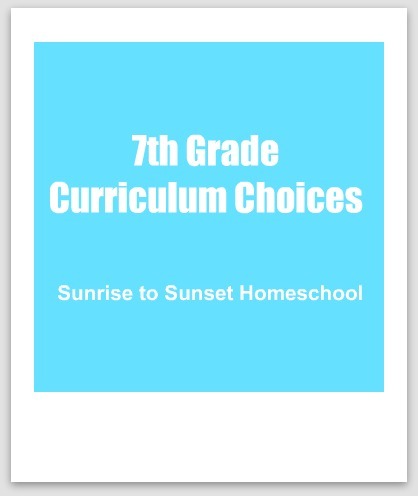 Here are our 7th grade curriculum choices. William will be in the 7th grade this year, though he works behind that grade level, so these might be more accurately titled 6th grade curriculum choices. I already have him one grade level behind his age, so I don’t want to move him back further. That is one of the huge benefits to homeschooling! William has several learning issues so I have tried a lot of different curricula and approaches with him. We’ve found some things that work well. We’re still looking in some areas. Disclosure: This post contains affiliate links. If you make a purchase through one of the links, I will receive a small commission. Christian Light Math 6 – This is one of the things that we have found that works. I have written about William and math before in The Post Where I Admit I was Wrong. Rod & Staff 6 – I am a long time user of Rod & Staff. You can read my review on The Curriculum Choice. I don’t know if this is going to work for William or not. We’ve tried starting it several times before, but struggled. Last year he went through a short unit on parts of speech and he’s been asking questions about what part of speech words are, so he may finally be ready for a more formal study of grammar. We’ll see. All About Spelling 7 – I really cannot rave enough about All About Spelling for William. I can’t say for sure because I was trying a lot of things at once, but it was while we were going through All About Spelling Level 1 that William finally started to understand blending sounds to make words. All About Spelling taught him how to read! I love how simple it is to use. It’s just pick up and go. Kindle books with immersion reading – When you’re reading on a Kindle, it seems less like reading and more like a game. With the immersion reading, William is better able to focus. 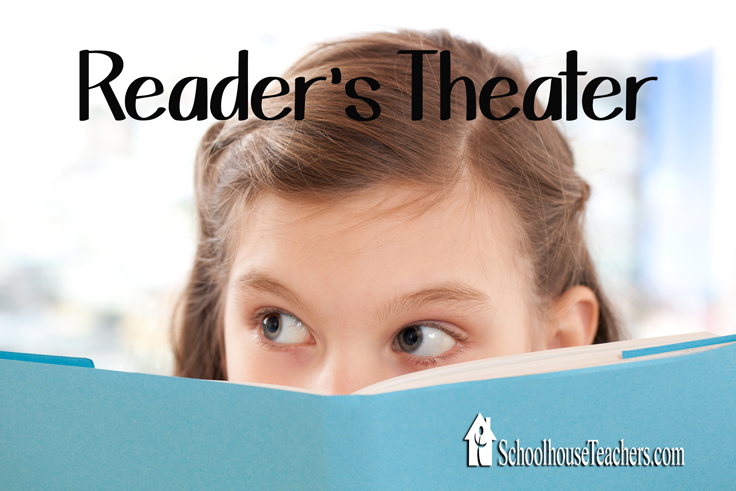 Reader’s Theater – This is a new class on SchoolhouseTeachers.com that I am going to use with William this year. It has very simple scripts to read aloud for 2 or more readers. He really needs to work on reading aloud and expression, so this is a super simple way for us to work together on it. Reading Detective – I purchased this resource a couple of years ago to work on reading comprehension, but he just did not get it. I am going to pull it out again to see if he’s more ready for it now. God’s Great Covenant: Old Testament 2 – Honestly, this didn’t work that well with William last year. But I’m going to try another year with it to give him more practice with basic reading comprehension. The stories are things he should be familiar with, but we discovered last year that his Bible knowledge has large gaps. Hymn study – He’ll be studying the same hymns as Lizzie, using them for copywork, and learning to play them on the piano. Catechism – Memorizing was very difficult for William early on, but he has really made huge strides lately. We’re going to start him working on the Westminster Shorter Catechism. 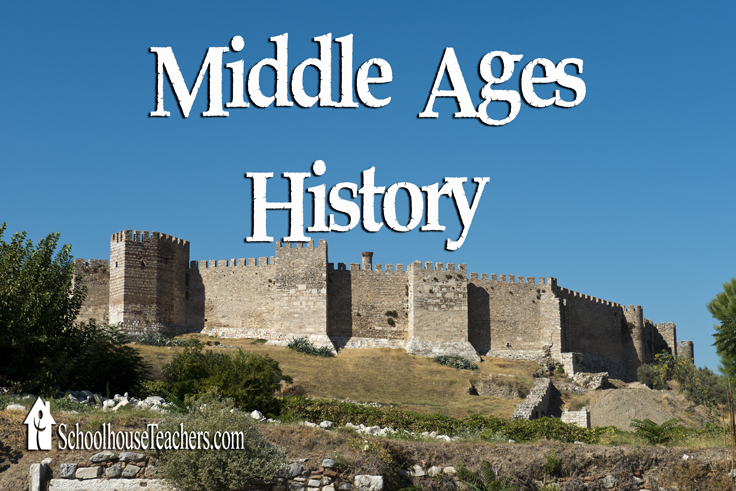 Middle Ages History is a another new course on SchoolhouseTeachers.com. It’s Truthquest History by Michelle Miller, so I’m going to look for additional reading selections for William from this course, especially ones that are available for Kindle. Drawing Around the World: USA – William really did well with Drawing Around the World: Europe from Brookdale House last year. I’m sure he’ll enjoy drawing the states just as much, if not more! Geology – William is very interested in National Parks and one of the geology courses at SchoolhouseTeachers.com is about the different geologic features found in National Parks. He has watched a couple of the video lessons, but I plan on having him work through this complete course for his science class this year. William received a camera for his birthday in March. He really loves to take lots of pictures. I’d like to give him a little more training on how to frame a picture and what makes for interesting shots. Right now, he’s a little bit random. This course may be too advanced for him, I need to take a closer look and see if I can condense some of the principles for him. I can’t believe Lizzie is going to be in the 4th grade this year! She is a very bright child who loves to read. For the most part, she likes formal school work, but on some days she has a bad attitude about seat work. The poem about the child with the curl in her forehead has served as a good description of her. Her favorite subjects are Latin and History. I’m trying to changes things this year with more reading aloud together time. Much of what I have planned is a continuation of what we’ve been doing. I have been revisiting the Charlotte Mason philosophy and this year will be a mix of Classical/Charlotte Mason resources. Disclosure: This post contains affiliate links. If you purchase from one of these links I will receive a small commission. Memoria Press – Finish The Moffats, then Farmer Boy and Charlotte’s Web. All About Spelling Level 4 – I really love this program. It has been wonderful for both my struggling reader and Lizzie who is a natural reader and speller. Rod & Staff 4 – Diagramming and parts of speech sections only. Classical Composition I- Fables – This is new for us. I looked at progymnasmata writing instruction years ago with my oldest, but never implemented it. The program I was looking at was too teacher intensive. I’m going to give this curriculum a try and see how we like it. Finish New American Cursive then use copywork for more practice. God’s Great Covenant: Old Testament 2 – I was very pleased with Old Testament 1 last year, so we’ve decided to continue this series. Hymn study – I am picking 2 or 3 hymns to study. We’ll use them for copywork, plus learn to play and sing. I haven’t decided if I’ll use the Ambleside Online suggested hymns or select my own. First Form Latin – Lizzie loves Latin and flew through Latina Christiana. We’re giving First Form a try this year, but will move at a relaxed pace. Ambleside Online Year 2 – Here is the big change in the curriculum. I started looking at Ambleside Online again and I have fallen in love. I want to spend time reading together, and this gives us that opportunity. I already own either in print or Kindle format almost all of the resources for the year. I chose Year 2 for the history time period because we’re wrapping up the Ancients. Even though Lizzie is in the 4th grade, many of the resources that are used in Year 2 are used for students much older as well. Considering God’s Creation – I will use this as the spine but will supplement it heavily with the corresponding Apologia Elementary books. We started this at the end of last year, and Lizzie loved the creative portions of Considering God’s Creation. I like the reading in Apologia better, so I’ve opted to combine them. We’re working through this at a relaxed pace and we don’t do all the activities in the Apologia science books. I know this looks like a lot, but we usually spend a very short time on each subject. I’ll be putting together a schedule for which subjects to do on which days. 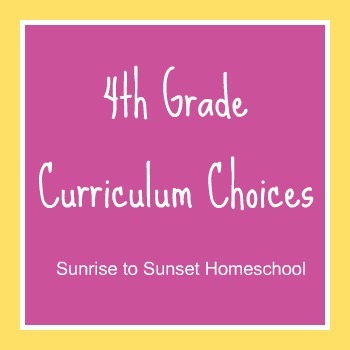 You can find more homeschoolers’ curriculum choices at the Not Back to School Blog Hop.